Margriet Luyten, currently living and working in The Netherlands, graduated in 1986 from the Art Academy in Den Bosch. In her work she focuses intensively on what time is, and in particular on the man and his (mortal) body. She followed her own mother's deathbed, portrayed centenarians and gave existing death portraits of children a new one appearance. Margriet Luyten works with film and photography, gum and screen printing, textile. 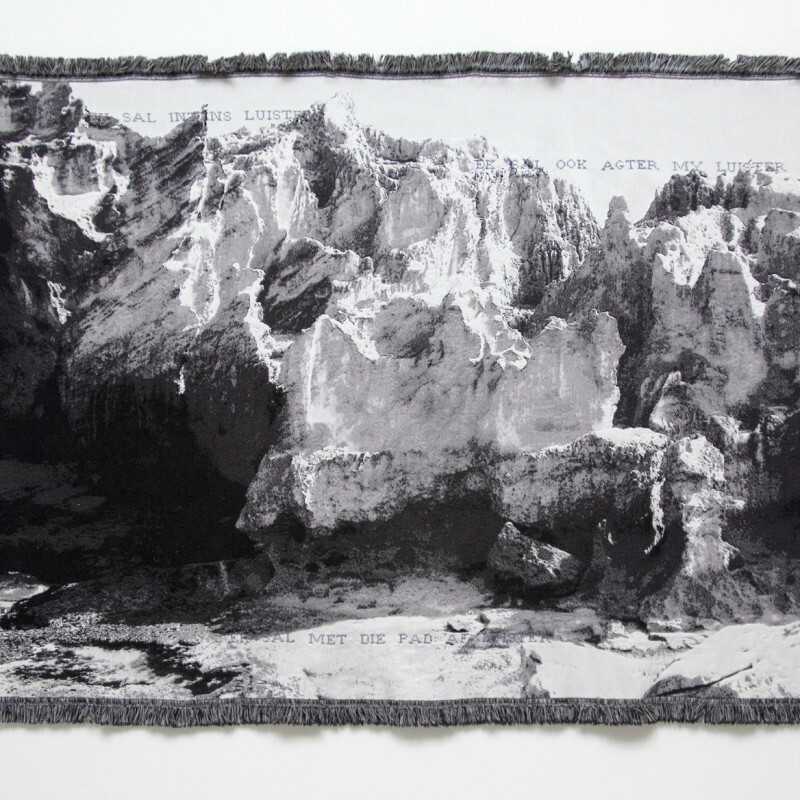 She makes tapestries from landscapes, using photography and photography digital weaving techniques, which she combines with hand-embroidered texts. In the Textiellab in Tilburg she uses the knowledge present there and she experiments exhausting with the possibilities that new jacquard techniques offer her. - the artists, Levenswerk II - the art mediators, Ella, Sehnsucht, Sculptures and Stay. Her work has been exhibited at the M HKA in Antwerp, Art Rotterdam, Museum De Pont and others in Tilburg, DNB in ​​Amsterdam, Verbeke Foundation in Belgium.